1. NEC code requires disconnecting means within sight of a heater. 2. 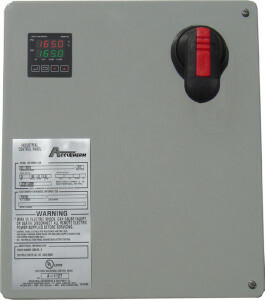 Power fusing is required by NEC for panels greater than 48 amps. 3. Heater is recommended for outdoor panels in cold environments with ambient below 32oF. 4. Although designed and tested for use in outdoor locations, UL rating is Type 1 only.